Grab your musket and get ready to defend Brooklyn! It's August 1776 and the British have arrived, with their Hessian mercenaries, to put an early end to the American Revolution. 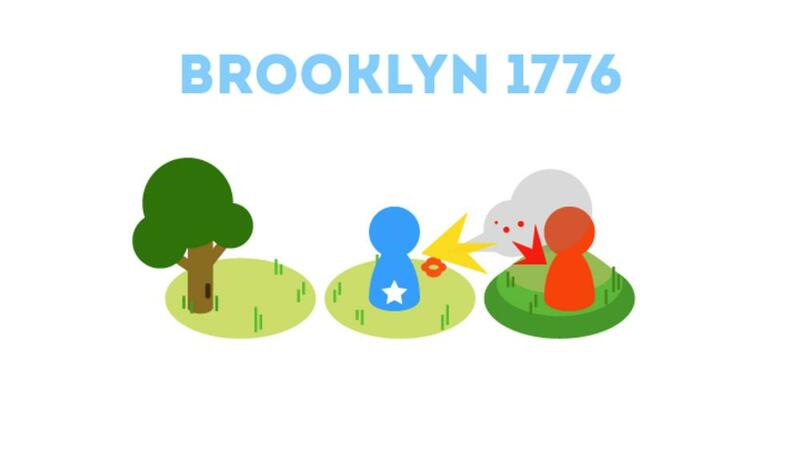 Welcome to Brooklyn 1776, a new iPhone game that brings to life the Battle of Brooklyn with turn-based, tactical strategy on a historically accurate map of 18th-century Brooklyn. Inspired by David McCullough's book 1776 and Lin-Manuel Miranda's Broadway musical "Hamilton", the New York-based design team at Creative Good intends to teach players about the American Revolution through gameplay. The result is a game that puts you in charge of the Continental Army – outnumbered and outgunned by the British – and challenges you to survive. If you make it through the battle with the army mostly intact, you'll know how Washington kept the revolution alive.